Expertise Areas: Consulting Services, digital strategy advisory, business case development, business analysis. Lina is a management consultant with over six years of global consultancy experience across multichannel/omni-channel and Digital Strategy advisory, business case development, user experience (UX), Customer Centric Target Operating Model design and implementation, strategic planning and roadmaps implementation, business analysis, and complex projects management. She is currently working as a Chairman’s Consultant at the Department of Transport in Abu Dhabi. She is a former Deloitte London management consultant with roles ranging across investment and retail banking, luxury retail and media clients. 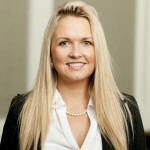 Lina is also highly experienced in Digital and Channel (customer facing, self-service, remote access) related projects delivery with a wide variety of technology platforms, PC and mobile applications experience, including content management, customer relationship, and eCommerce platforms; business intelligence and analytics systems. Key clients included Goldman Sacks, John Lewis, Selfridges, UBS, HSBC. Former Vice-Chair of the Young Management Consultancies Association (MCA) steering committee.